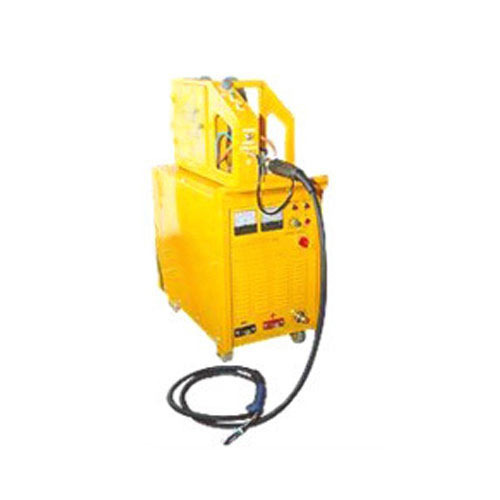 We have gained recognition as an eminent enterprise, devotedly engaged in offering a broad range of MIG MAG Welding Machine. These machines are specially designed for welding bronze, aluminum and their alloys. Backed by a team of experts, these machines are manufactured using high grade raw material and advance technology. Our offered range is precision-designed, in order to meet the international standards. Furthermore, these machines are availed in various technical specifications, as per the varied needs of our valuable clients. Our range is stringently tested on various parameters to assure it on counts of quality. We “Rose Gears International” are a leading manufacturer and trader of a commendable and highly durable range of Power Press, Press Brake, Lathe Machine, Milling Machine, Drilling Machine, Shaper Machine, Planer Machine, Hydraulic Press, Welding Machine, Grinding Machine, etc. Established in the year 2002, we are a Sole Proprietorship Company that is situated at Ludhiana (Punjab, India) and actively committed towards manufacturing the best class machines and fixtures in various specifications and with assured quality. Under the supervision of our Proprietor “Mr. Hardeep Singh”, we have been able to accomplish the diverse requests and demands of our customers. We are offering all our products under the brand name Rose.